The Valve Screamer™ Motorized Valve Auto Shut Off (GSN12) stops flooding from leaky pipes or faulty water heaters by closing a motorized valve and preventing the flow of water when moisture is detected. 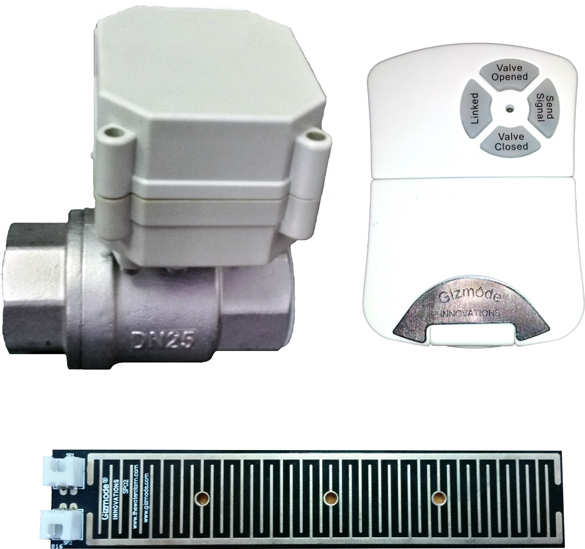 Moisture is detected by a sensor pad connected directly to the Valve Screamer™. This is a point of use solution that can be upgraded to a whole house solution when necessary by adding the Flood Screamer®. If used in conjunction with the Flood Screamer® Wireless Water Alarm System (GSN0A), moisture may be detected through wireless sensors placed strategically throughout the premises. Click the button below to add the The Valve Screamer Auto Shut Off (3/4 inch) to your wish list.